In case you hadn’t realised, The Game Awards took place last night. As well as handing out a whole host of awards, the ceremony itself contained plenty of new game announcements and trailers. If you weren’t able to watch the awards live yesterday and, like me, couldn’t decipher the chaos of your Twitter feed this morning, we’ve put together a handy rundown of everything we saw throughout the ceremony to help catch you up. All in all, it was a pretty hectic night, with some announcements we were expecting and some others that came as quite the surprise. It was quite the spread, too, with games ranging from the Stanley Parable to Mortal Kombat to Dragon Age 4 all gracing the stage at one time or another. So without further ado, here are all of the announcements that took place last night for PC (we won’t be mentioning the console-exclusive announcements, for obvious reasons). Wherever there’s a trailer attached to a particular announcement, we’ve added them so you can get a closer look at all of the upcoming PC games revealed last night. The post-apocalyptic follow-up to Far Cry 5, New Dawn is set 17 years later, in a world ravaged by nuclear war. You can check out our co-op impressions, or take a look at a trailer, below. Far Cry: New Dawn releases February 15. Anthem got a new story trailer last night, giving us out first look at its main villain. Anthem releases on February 22. The Stanley Parable is heading to consoles via The Stanley Parable: Ultra Deluxe, which adds new endings to the narrative adventure. 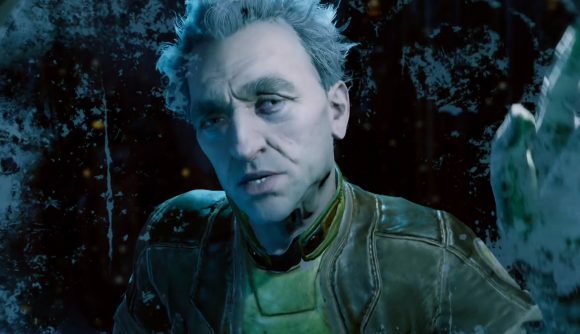 The Outer Worlds is the next game from Fallout: New Vegas and Pillars of Eternity developers Obsidian Entertainment. Due to release in 2019, it’s a first-person sci-fi RPG with some strong Fallout vibes and just a dash of Borderlands. Officially branded a “Hello Games Short,” The Last Campfire is an adventure game from the developers of No Man’s Sky. Ashen, which first reared its head in 2014, is out now on PC via the Epic Games Store, and on Xbox. The (previously) exclusive PlayStation classic is finally coming to PC, thanks once again to the Epic Games Store. Dragon Age 4 is no great secret at this point, but last night marked the first official look with an early teaser trailer – just don’t expect it any time soon. Stranger Things 3 will be a 16-bit co-op game that tracks the story of the third series of Netflix’s sci-fi hit. Mortal Kombat returns for an eleventh outing on April 23, and this time it’s coming to Nintendo Switch as well. Fortnite will be making use of its new Creative mode. Risky Reels has been replaced by The Block, an area of the map now dedicated to showing off the community’s best creations. Those are all of the biggest PC announcements from last night’s ceremony. Make sure to keep an eye out for more details on those games as we get them.